Located in the center of the "Golden Internet ring" between Frankfurt, Amsterdam, London and Paris, Luxembourg is considered as a very low latency ICT hub. Luxembourg’s international carriers offer a wide range of telecommunication solutions to connect the IT infrastructure located in Luxembourg with the rest of the world. More than 30 carriers with international networks offer 27 different fiber optic routes via the 3 neighboring countries. Furthermore, almost all multi-tenant data centers in Luxembourg are carrier neutral with a large choice of national and international operators. Luxembourg is located in the heart of Europe, between major European Internet hubs such as London, Amsterdam, Frankfurt and Paris. Its ideal geographical situation has allowed the country to build an international fiber network, and in doing so to become an ultra-low latency hub in Europe, with average round-trip times of around 5 milliseconds. 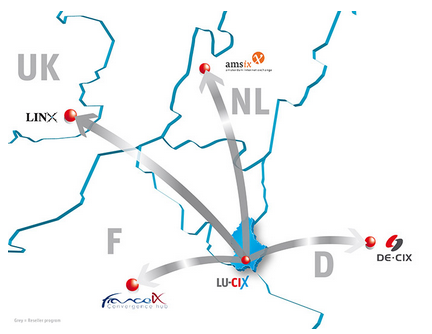 Luxembourg also has direct links with major neighboring Internet exchanges (AMS-IX, LINX, DE-CIX, France-IX). 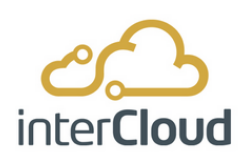 Luxembourg offers multiple national and international Tier 1 and Tier 2 Internet service providers, allowing all businesses to have access to high speed connections with very low latencies. The wide range of choices offered by carriers in Luxembourg cannot fail to meet your needs, whether in terms of security, connectivity or budget. Luxembourg’s Internet eXchange, LU-CIX (Luxembourg Commercial Internet eXchange), is an independent and neutral organization that was founded in 2009 based on a cross industry initiative set up by major national and international Internet players, with the aim of further enhancing Internet reliability and data security in Luxembourg. LU-CIX is present in 8 data centers across the country. With LU-CIX, companies generating IP (Internet Protocol) traffic and attracted to Luxembourg by the favorable economic environment and political stability, are in a position to find all the means and tools to carry their traffic to all Internet users around the world. This Internet eXchange point permits the various Internet service providers to exchange Internet traffic between their networks, and thus directly connect the content providers and international Internet operators located in Luxembourg. Being at the center of Europe and at the crossroads of all European Internet traffic routes, Luxembourg’s data center connectivity enjoys traffic routes that are not overbooked or congested. Carriers available in Luxembourg rely on generously dimensioned lines that offer improved roundtrip times. 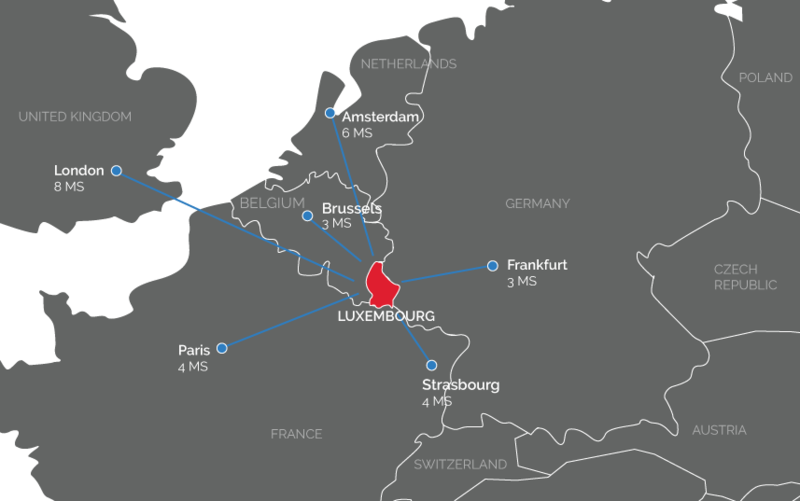 Located in the heart of Europe and offering low latency times to all European capitals, Luxembourg is the perfect spot for reaching customers all over Europe. Thanks to its proximity to other Internet hubs such as Frankfurt (DE-CIX), Amsterdam (AMS-IX), Paris (France-IX) or London (LINX), Luxembourg offers great data center interconnections and represents a smart alternative to established Internet exchange points.